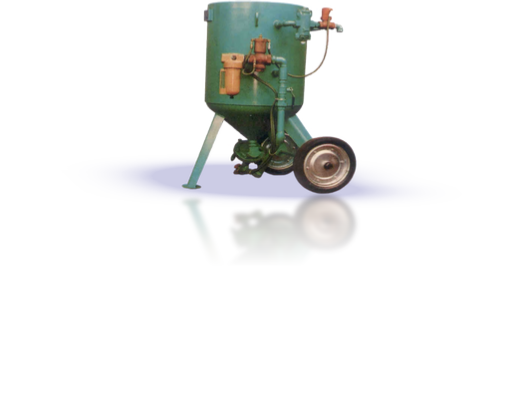 is a portable sandblast with a sand capacity of 300 Lbs. It requires 137 CFM at 100 Psi and is an outstanding machine for general contractors and rental companies. This is an all-purpose machine, fully portable and capable of extensive job site blasting. It is especially popular for maintenance done on board a ship. 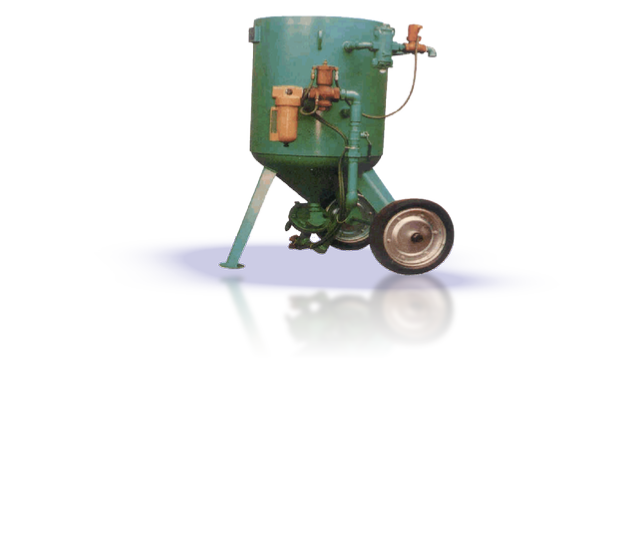 is a portable sandblast with a sand capacity of 600Lbs. It requires a minimum of 210 CFM at 100psi when equipped for high production operation. This system is the preferred choice of professional blasting contractors, shipyards and industrial sites. This is an all-purpose machine, fully portable and capable of extensive production. 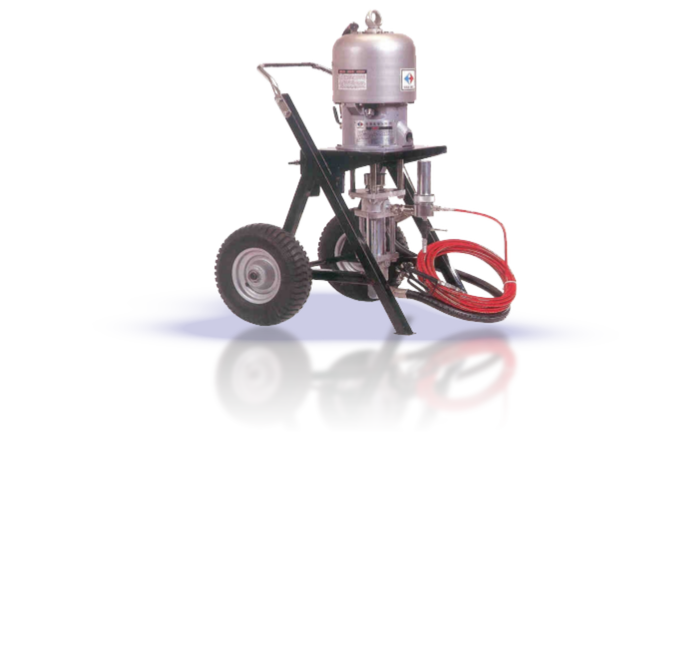 is the original ‘Airless’ spray coating method driven by Air compressor and dispensed by airless spray gun. Various ranges of the spray tips are available for your best choice of spray pattern and flow rate to establish your excellent painting job. This high-pressure equipment allows you to save your time and paint. 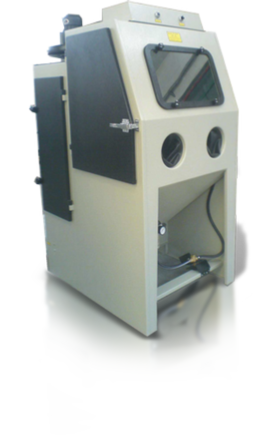 Our Blasting cabinets are constructed of high quality steel sheets and materials. We design it with an all in 1 concept integrating the blast section, dust collector, cyclone in 1 compact cabinet. We also offer many options to meet our customer's requirement. For example, cartridge filter, motorized rotating basket, bo ron carbide nozzle, rubber curtain, gun holder and safety switch. provides the ability for GMA Garnet, a high efficiency natural abrasives, to be used over and over again for maximum cost saving. 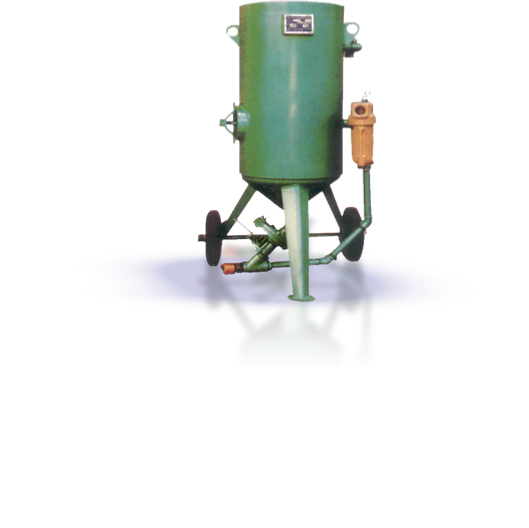 It can be adjusted to achieve the optimum particle size balance for any particle blasting requirement. Recycling provides for greatly reduced abrasive volume to be transported to and handled on site as well as greatly reduced abrasive disposal volume and disposal cost of a non-hazardous abrasive. The systems are in operation in some of the world’s toughest environments in Australia, New Zealand, the Middle East, South East Asia, Europe, North Asia and the USA. Operation and Maintenance is very simple even under difficult site conditions. 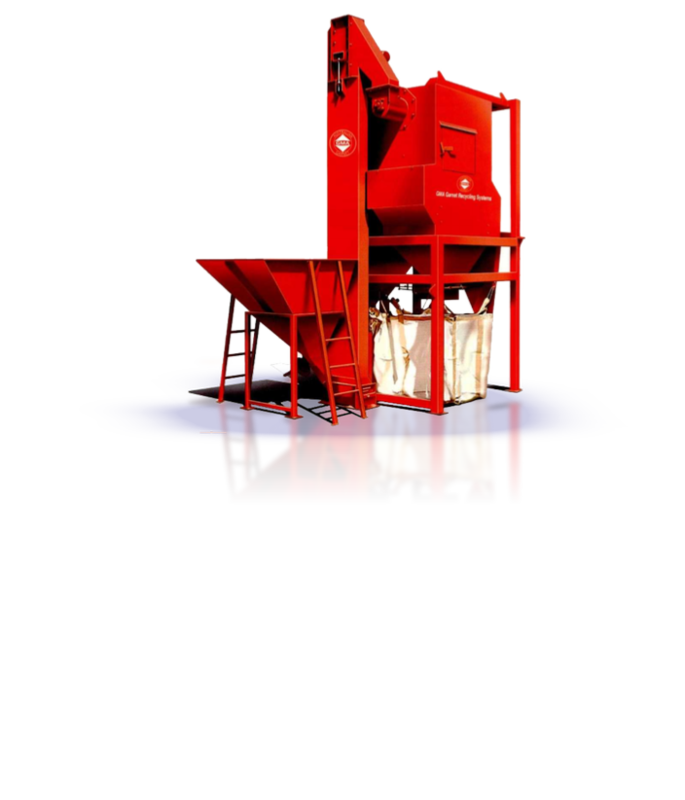 The GMA Garnet Recycling System Model MK COMBI is a specially designed compact recycling system for the efficient cleaning and reprocessing of used GMA GARNET for immediate re-use. The MK COMB! is fully assembled into one rigid unit with central lifting point for easy transportation and setting up on site. It is a low maintenance and easy to operate system .